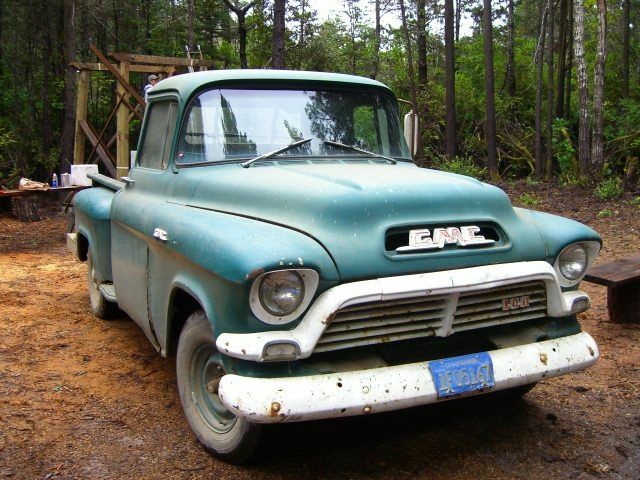 The classic stepside pickup built by both GMC and Chevrolet in the 1950s came in both the half ton and three-quarter ton carriage beds. The '57 came equipped with either the standard large straight 6 cylinder, 250 cc engine, or the more robust V-8, 283 cc engine. The cab incorporated wraparound windows and an airflow system that provided fresh air to the occupants. Considered both a workhorse and show vehicle, the vehicle can truly be called the "Little Truck that Could."